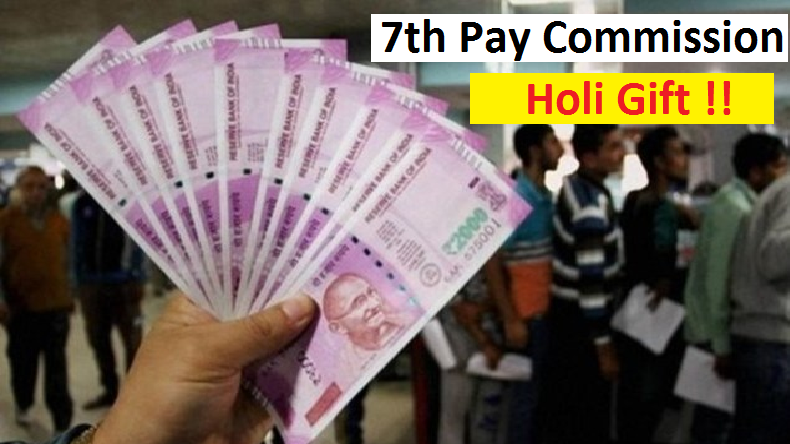 7th Pay Commission: The Karnataka government has released an order for the implementation of the 7th Pay Commission benefits for Teaching staffs under the University Grants Commission (UGC), which seems to be a Holi gift for the employees. Under the 7th CPC professors would now get 57,700 instead of the earlier salary, which was between 15,000 and `35,000. 7th Pay Commission: Good news for the employees! The state government of Karnataka has issued a notification in which it has been clarified that the pay scale for teaching staffs have been revised as per University Grants Commission (UGC) pay. This means the government has given an official order for implementation of the revised pay scale for the Lecturers working under the University Grants Commission. According to the new pay scale, professors or employees who were earlier drawing salaries between `15,000 and `35,000, will now be getting `57,700 at the end of every month. Moreover, according to the Department of Higher Education, the maximum pay has been limited to 1.82 lakh per month. For senior assistant professors, the pay scale has been revised from 39,000 to 68,900 with maximum up to Rs. 2,05, 500. The notification released by the government also says that the revised pay is for the following category employees – Teachers, Librarian, physical education personnel and equivalent cadre, however, those who don’t meet the minimum qualification requirements under the UGC norms for appointment of teachers will not get any benefits. Meanwhile, the Centre had recently announced 3% increment in the Dearness Allowances (DA) and Dearness Relief (DR) for all Central Government employees and pensioners ahead of the upcoming Lok Sabha Elections 2019. However shattering the wishes of more than 50 lakh employees, the hike in the fitment factor has lost all hopes as the Election Commission announced the schedule of the Lok Sabha Elections. Moreover, the Ministry of Personnel, Public Grievances and Pensions recently approved the demand for increment in the incentives of highly qualified central government employees. 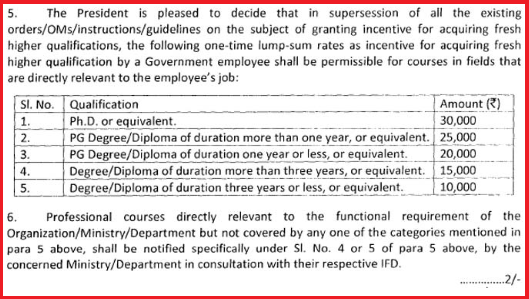 According to the newly approved norms, the employees will get a five-fold increase will be made in the one-time incentives if they have a higher degree while serving in their respective official departments. The ministry said that Rs 2,000-Rs 10,000 would be given to those acquiring fresh higher educational qualifications, which is also considered to be a Holi gift.